Watch this video to learn about fitting a bike helmet properly on your child and yourself. Bike Helmet Fittings and Sales for local Pediatric/Family Clinic Patients! 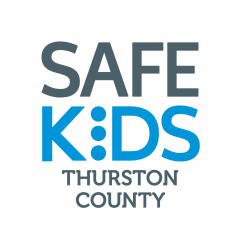 Please ask about this safety service during your next well-child visit! Seattle Children's is working to get more kids and teens into properly fit helmets through the Kohl’s Helmet Safety Program. In partnership with Kohl’s Cares, Seattle Children's travels Washington state providing free helmet fittings and giveaways for children year-round. They teach parents and kids how to properly fit every helmet they give away, but they don’t stop there. They also provide resources to teach you to fit helmets where you are, in the community or at home. Click HERE for a calendar of when and where they will be in 2018. Please note that they fit and give away helmets only at these community events. Unfortunately, they are unable to fulfill individual requests for helmets or provide helmet donations.